I'll be honest: Bronzer is the one makeup product that absolutely terrifies me. After dabbling with it in my teenage years to varying degrees of success, I eventually decided to call it a day, embrace my pale complexion and declare that bronzing powder just wasn't for me. But when I got wind that Fenty Beauty's latest product drop was going to be a bronzer, my interest was piqued. After all, if there's one woman who knows a thing or 10 about gorgeously glowing skin, it's Rihanna. Since its launch in September 2017, Fenty Beauty has been changing the game when it comes to makeup. Renowned for its unrivalled collection of shades (the Pro Filt'r Soft Matte Longwear Foundation comes in 50 skin tones), it's a brand I trust when it comes to finding wearable hues that genuinely look good on everyone. In a similar vein, the new Fenty Beauty Sun Stalk'r Instant Warmth Bronzer is available in eight versatile shades so that everyone can enjoy some of Rihanna's own sun-kissed glow—from the fairest to the deepest complexions. And I can verify that this bronzer looks seriously beautiful when applied. To celebrate the launch, I caught up with Priscilla Ono, Fenty Beauty's Global Makeup Artist and Rihanna's personal go-to, to chat about her must-have beauty product (spoiler: it's the Fenty Beauty Match Stix), Rihanna's iconic beauty looks and her insider application hacks. Priscilla Ono embracing that trademark Fenty Beauty glow in L.A.
What are the failsafe products that you always come back to? Skincare and prep are really important. I love starting with Fenty Beauty Pro Filt'r Foundation and Instant Retouch Primer—they create a flawless complexion and the perfect soft matte base. Match Stix are my absolute favourite, as I can do so much with them: contour, conceal, use them as blush, eye shadow, lip, even foundation! They're extremely multifunctional and the design also them perfect for on the go. And I always top off my lip with Gloss Bomb—it's hands down the best universal lip gloss shade! A behind-the-scenes peek of the Fenty Beauty Sun Stalk'r Instant Warmth Bronzer on skin. What's the easiest way to introduce colour into your makeup bag? I always say that if you're intimated by colour, you should start off with a bright lip first. Stunna Lip Paint in Uncensored and Mattemoiselle in Ma'Damn are the perfect, universally flattering shades that anyone can start with. Once you get comfortable with that, you can start amping it up a bit more—brighter colours like Flamingo Acid will be perfect for the summer! 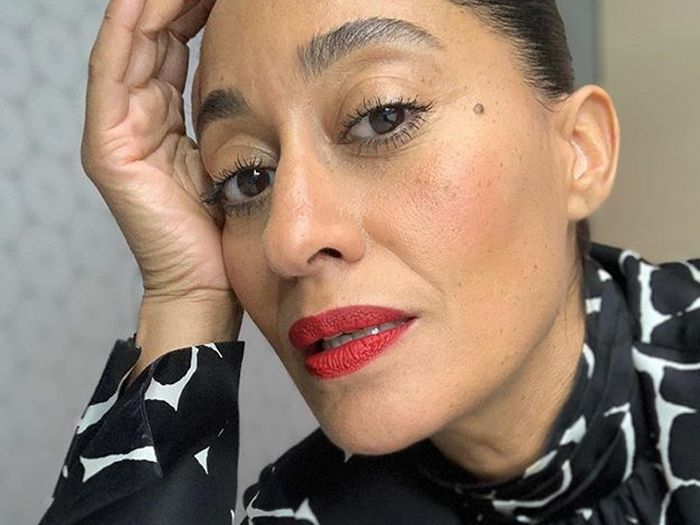 Once you find your groove with lipstick, you can start going brighter everywhere—highlighter, eye shadow, whatever you want. Experimenting with Fenty Beauty bronzer on fairer skin tones. Let's talk through one of your favourite beauty looks that you've created for Rihanna. Oh my gosh, there are so many! I loved Rih's look for the Fenty Beauty launch event. The look was so iconic and absolutely stunning with the Killawatt Freestyle Highlighter in Trophy Wife. Another favourite was the one-year anniversary event in Sephora inside JCPenney this past September. We used the Diamond Bomb All-Over Diamond Veil and she was bathing in 3D sparkle. It was just gorgeous! She's like a chameleon. Every look I do on her just looks so different. I'm always excited for what's next. Rihanna matching her beauty to her fashion at the launch of Fenty Beauty. What products would you recommend for creating a makeup starter kit? Match Stix are for sure the number one must-have product—you can literally do everything with them and they are so easy to use! I would recommend Killawatt Freestyle Highlighters since they give your skin a beautiful, natural glow and even work really well as an eye shadow. Flyliner Liquid Eyeliner is a great staple that's super easy to apply and lasts all day without smudging. Invisimatte Blotting Powder is amazing for setting your makeup and touch-ups throughout the day. When your skin starts to get oily, the powder makes your skin stay flawless and fresh. And, of course, Gloss Bomb. It's hands down the best gloss. The new Fenty Beauty Sun Stalk'r Instant Warmth Bronzers. 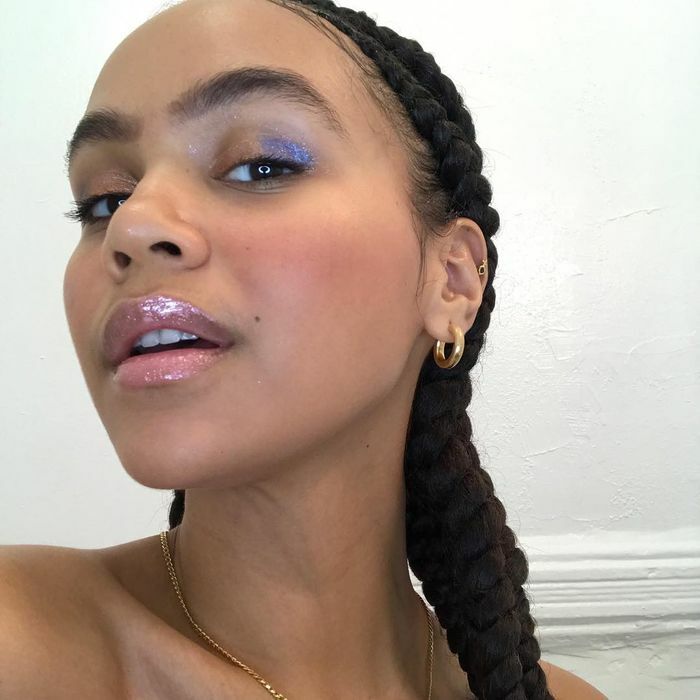 Can you let us in on some insider tips on how to use Fenty Beauty products in an unexpected way? I can do so much with Match Stix—I use them for contour, concealer, blush, eye shadow, lip and even foundation. My favourite trick is to mix Rum with Yacht Lyfe. It gives the best cheek glow ever! I love combining Chili Mango and Rum for Rih. Keep scrolling to shop the new Fenty Beauty Sun Stalk'r Instant Warmth Bronzer at Harvey Nichols—and Priscilla's other beauty must-haves. An easy-to-use powder bronzer available in eight versatile shades so everyone can enjoy that post-holiday glow. A shine-free, long-wear foundation in 50 true-to-skin shades that can be layered from a medium to a full coverage. This lightweight, oil-free primer absorbs shine and diffuses pores for more even-looking skin. Use these creamy sticks as a highlighter, blusher, eye shadow and more. Indulge your inner '90s child with this high-shine, non-sticky lipgloss. You can use these versatile sticks to contour, conceal and enhance your skin in whatever way you choose. If you're after a lip product that stays put, then look no further. This liquid formula glides on and lasts all day, and Uncensored is a red that genuinely suits everyone. A cream-to-powder highlighter that glides onto your skin for a subtle sheen or a major glow when layered. Perfect for special occasion dressing, this jelly-to-powder texture melts into skin to impart shoulders, legs (wherever) with brilliant shimmer. Even eyeliner newbies will be able to achieve a smooth, precise feline flick with this felt-tip formula. Take away unwanted shine without leaving any white residue on your skin thanks to this translucent, oil-absorbing powder. Next up, from Alexa to VB, practically every celebrity swears by this £205 moisturiser.